Selfie phones are now trending in the market and iBall released another selfie oriented phone. Now for a couple of months many brands are focusing on smartphones which are dedicated to taking selfies and even in this year’s IFA Nokia launched Lumia 730 and 735 selfie phones. 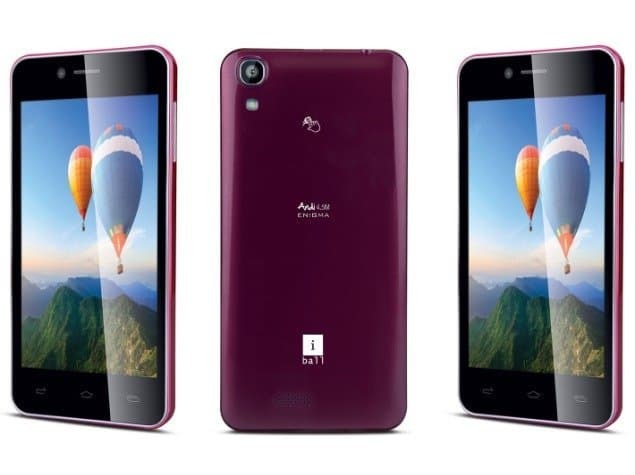 iBall has launched another Android 4.4 KitKat smartphone in its Andi series, calledAndi 4.5M Enigma. The smartphone has been listed on company’s site with the tag ‘The Perfect Selfie Phone’ and a price at Rs. 8,499. Though till now, there is not a single word about the availability of the product but we’re expecting it to be at the stores very soon. The phone runs Android 4.4 Kitkat out of the box and features a 4.5-inch qHD (540×960 pixels) IPS display. 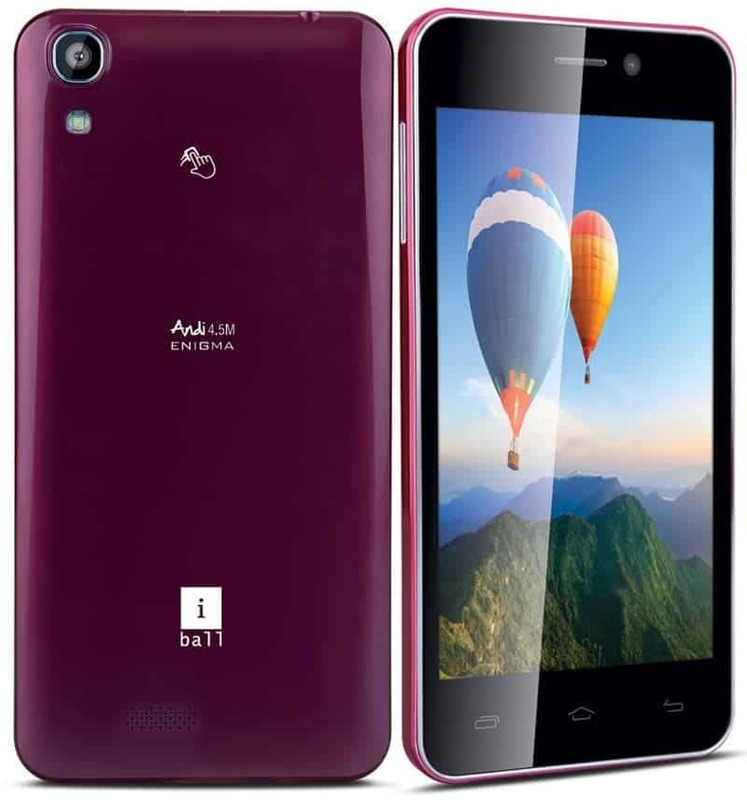 The phone is powered by a 1.3GHz quad-core Cortex-A7 processor along with 1GB of RAM. The smartphone sports a 13-megapixel rear autofocus camera with BSI sensor and LED flash. The Andi 4.5M Enigma packs a secondary 8-megapixel front-facing camera with 88 degree wide angle view. The phone boats of 8GB of inbuilt storage and supports expandable storage via microSD card (up to 32GB). On the connectivity front, the Andi 4.5M Enigma smartphone includes 3G, Wi-Fi, Wi-Fi Direct, Bluetooth, NFC, Micro-USB, GPRS/ EDGE, GPS/ A-GPS, FM radio and USB OTG options. The phone is powered by a 1500 mAh battery, which seems a little less if we look at the technical specifications. The phone will support 22 international languages and 15 Indian regional languages. If you want to take a look at the detailed specifications, it has been listed below. Also read: Sony selfie camera which looks like a perfume bottle. Next articleMoto G (2014-2nd generation) vs Moto G (2013): What’s so new in Moto G (2nd gen) ?